This is the column of Praveen Dalal, Managing Partner of New Delhi based IP and ICT Law Firm Perry4Law. Praveen Dalal is the leading techno legal expert of India and is a Panelist at many national and International forums like FICCI, WIPO Arbitration and Mediation Centre, etc. This is his seminal work on Domain Name Protection in India that has been the most widely quoted and circulated research work on the topic. 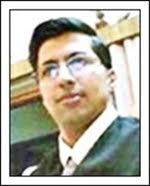 Praveen Dalal is also the CEO of Perry4Law Techno Legal Base (PTLB) that is managing the exclusive Techno Legal ADR and ODR Centre of India. PTLB is also the exclusive Techno Legal ADR and ODR Service Provider of India and World wide. Another unique initiative of Perry4Law and PTLB is the exclusive techno legal E-Courts Training and Consultancy Centre of India. The original role of a domain name was to provide an address for computers on the Internet. The Internet has, however, developed from a mere means of communication to a mode of carrying on commercial activity. With the increase of commercial activity on the Internet, a domain name is also used as a business identifier. Therefore, the domain name not only serves as an address for Internet communication but also identifies the specific Internet site. In the commercial field, each domain name owner provides information/services, which are associated with such domain name. A domain name is easy to remember and use, and is chosen as an instrument of commercial enterprise not only because it facilitates the ability of consumers to navigate the internet to find websites they are looking for, but also at the same time, serves to identify and distinguish the business itself, or its goods or services, and to specify its corresponding online internet location. Consequently a domain name as an address must, of necessity, is peculiar and unique and where a domain name is used in connection with a business, the value of maintaining an exclusive identity becomes critical. As more and more commercial enterprises trade or advertise their presence on the web, domain names have become more and more valuable and the potential for dispute is high. Whereas a large number of trademarks containing the same name can comfortably co-exist because they are associated with different products, belong to business in different jurisdictions etc, the distinctive nature of the domain name providing global exclusivity is much sought after. The fact that many consumers searching for a particular site are likely, in the first place, to try and guess its domain name has further enhanced this value. The law does not permit any one to carry on his business in such a way as would persuade the customers or clients in believing that the goods or services belonging to someone else are his or are associated therewith. It does not matter whether the latter person does so fraudulently or otherwise. The reasons are two. Firstly, honesty and fair play are, and ought to be, the basic policies in the world of business. Secondly, when a person adopts or intends to adopt a name in connection with his business or services, which already belongs to someone else, it results in confusion and has propensity of diverting the customers and clients of someone else to himself and thereby resulting in injury. Thus, a Domain Name requires a strong, constant and instant protection under all the legal systems of the world, including India. This can be achieved either by adopting harmonisation of laws all over the world or by jealously protecting the same in the municipal spheres by all the countries of the world. There is a distinction between a trademark and a domain name, which is not relevant to the nature of the right of an owner in connection with the domain name, but is material to the “scope of the protection” available to the right. The distinction lies in the manner in which the two operate. A trademark is protected by the laws of a country where such trademark may be registered. Consequently, a trademark may have multiple registrations in many countries throughout the world. On the other hand, since the internet allows for access without any geographical limitation, a domain name is potentially accessible irrespective of the geographical location of the consumers. The outcome of this potential for universal connectivity is not only that a domain name would require world wide exclusivity but also that national laws might be inadequate to effectively protect a domain name. The lacuna necessitated international regulation of the domain name system (DNS). This international regulation was effected through WIPO and ICANN. The outcome of consultation between ICANN and WIPO has resulted in the setting up not only of a system of registration of domain names with accredited Registrars but also the evolution of the Uniform Domain Name Disputes Resolution Policy (UDNDR Policy) by ICANN on 24th October 1999. As far as registration is concerned, it is provided on a first come first serve basis. Besides the UDNDR Policy is instructive as to the kind of rights which a domain name owner may have upon registration with ICANN accredited Registrars. iii) A domain name has been registered and is being used in bad faith. (iv) By using the domain name, the domain name owner/ registrant has intentionally attempted to attract, for commercial gain internet users, to its web site or other on-line location, by creating a likelihood of confusion with the complainants mark as to the source, sponsorship, affiliation, or endorsement of the domain name owner/registrant web site or location or of a product or service on its web site or location. (iii) The domain name owner/registrant is making a legitimate non-commercial or fair use of the domain name, without intent for commercial gain to misleadingly divert consumers or to tarnish the trademark or service mark at issue. These rules indicate that the disputes may be broadly categorised as: (a) disputes between trademark owners and domain name owners and (b) between domain name owners inter se. A prior registrant can protect its domain name against subsequent registrants. Confusing similarity in domain names may be a ground for complaint and similarity is to be decided on the possibility of deception amongst potential customers. The defences available to a complaint are also substantially similar to those available to an action for passing off under trademark law. As far as India is concerned, there is no legislation, which explicitly refers to dispute resolution in connection with domain names. But although the operation of the Trade Marks Act, 1999 itself is not extra territorial and may not allow for adequate protection of domain names, this does not mean that domain names are not to be legally protected to the extent possible under the laws relating to passing off. (a) Liability for infringement: A trademark on registration is endowed with strong protection under the Act. The Act allows the owner of the registered trademark to avail of the remedies of infringement and passing off. It must be noted that though the passing off remedy can be availed of irrespective of registration, the remedy of infringement can be availed of only if the trademark is registered properly as per the provisions of the Act. Thus, a person holding a domain name violating a registered trademark can be held liable for infringement under the provisions of the Act. (b) Liability for passing off: The passing off action depends upon the principle that nobody has a right to represent his goods as the goods of some body. In other words a man is not to sell his goods or services under the pretence that they are those of another person. The modern tort of passing off has five elements i.e. (1) a misrepresentation (2) made by a trader in the course of trade, (3) to prospective customers of his or ultimate consumers of goods or services supplied by him, (4) which is calculated to injure the business or goodwill of another trader (in the sense that this is a reasonably foreseeable consequence) and (5) which causes actual damage to a business or goodwill of the trader by whom the action is brought or (in a quia timet action) will probably do so. The trademark is essentially adopted to advertise ones product and to make it known to the purchaser. It attempts to portray the nature and, if possible, the quality of the product and over a period of time the mark may become popular. It is usually at that stage that other people are tempted to pass off their products as that of the original owner of the mark. That is why it is said that in a passing off action, the plaintiffs right is against the conduct of the defendant, which leads to or is intended or calculated to lead to deception. Passing off is said to be a species of unfair trade competition or of actionable unfair trading by which one person, through deception, attempts to obtain an economic benefit of the reputation, which other has established for himself in a particular trade or business. The action is regarded as an action for deceit. Salmond & Heuston in Law of Torts (Twentieth Edition, at p.395) call this form of injury as injurious falsehood and state: – The legal and economic basis of this tort is to provide protection for the right of property which exists not in a particular name, mark or style but in an established business, commercial or professional reputation or goodwill. So to sell merchandise or carry on business under such a name, mark, description, or otherwise in such a manner as to mislead the public into believing that the merchandise or business is that of another person is a wrong actionable at the suit of that other person. This form of injury is commonly, though awkwardly, termed that of passing off ones goods or business as the goods or business of another and is the most important example of the wrong of injurious falsehood. The gist of the conception of passing off is that the goods are in effect telling a falsehood about themselves, are saying something about themselves, which is calculated to mislead. The law on this matter is designed to protect traders against that form of unfair competition, which consists in acquiring for oneself, by means of false or misleading devices, the benefit of the reputation already achieved by rival traders. The gist of passing off action was defined by stating that it was essential to the success of any claim to passing off based on the use of given mark or get-up that the plaintiff should be able to show that the disputed mark or get-up has become by user in the country distinctive of the plaintiffs goods so that the use in relation to any goods of the kind dealt in by the plaintiff of that mark or get up will be understood by the trade and the public in that country as meaning that the goods are the plaintiffs goods. It is in the nature of acquisition of a quasi-proprietary right to the exclusive use of the mark or get-up in relation to goods of that kind because of the plaintiff having used or made it known that the mark or get-up has relation to his goods. Such right is invaded by anyone using the same or some deceptively similar mark, get-up or name in relation to goods not of plaintiff. The three elements of passing off action are the reputation of goods, possibility of deception and likelihood of damages to the plaintiff. The same principle, which applies to trade mark, is applicable to trade name. In an action for passing off it is usual, rather essential, to seek an injunction temporary or ad-interim. The principles for the grant of such injunction are the same as in the case of any other action against injury complained of. The plaintiff must prove a prima facie case, availability of balance of convenience in his favour and his suffering an irreparable injury in the absence of grant of injunction. According to Kerly passing off cases are often cases of deliberate and intentional misrepresentation, but it is well settled that fraud is not a necessary element of the right of action, and the absence of an intention to deceive is not a defence though proof of fraudulent intention may materially assist a plaintiff in establishing probability of deception. Christopher Wadlow in Law of Passing Off (1995 Edition, at p.3.06) states that the plaintiff does not have to prove actual damage in order to succeed in an action for passing off. Likelihood of damage is sufficient. The same learned author states that the defendant’s state of mind is wholly irrelevant to the existence of the cause of action for passing off. As to how the injunction granted by the Court would shape depends on the facts and circumstances of each case. Where a defendant has imitated or adopted the plaintiff’s distinctive trademark or business name, the order may be an absolute injunction that he would not use or carry on business under that name. (Kerly, ibid, para 16.97). Once a case of passing off is made out the practice is generally to grant a prompt ex-parte injunction followed by appointment of local Commissioner, if necessary. a) The nature of the marks i.e. whether the marks are word marks or label marks or composite marks, i.e. both words and label works. b) The degree of resembleness between the marks, phonetically similar and hence similar in idea. c) The nature of the goods in respect of which they are used as trademarks. d) The similarity in the nature, character and performance of the goods of the rival traders. e) The class of purchasers who are likely to buy the goods bearing the marks they require, on their education and intelligence and a degree of care they are likely to exercise in purchasing and/or using the goods. g) Any other surrounding circumstances which may be relevant in the extent of dissimilarity between the competing marks. Weightage has to be given to each of the aforesaid factors depends upon facts of each case and the same weightage cannot be given to each factor in every case. A domain name may have all the characteristics of a trademark and could found an action for passing off by applying the abovementioned principles. (a) A trademark registered under the Act has the backing of the infringement and passing off remedies. An unregistered trademark is not protected by the Act, except to the extent of availing of passing off remedy. The definition of the terms “mark” and “trademark” is so widely given that it conveniently covers domain name. It must be noted that a “mark” is used, rightly or wrongly, if it is used in printed or other visual representation. It cannot be doubted that a domain name corresponding a mark is definitely used both in the printed form (electronic form) and by visual representation. Thus, the provisions of the Act can safely be invoked to fix the liability in those cases. (b) A passing off action is maintainable in law even against the registered owner of the trademark, particularly if the trademark has a transborder reputation. This, principle recognises the mandate of protecting the well-known trademarks, as required by the TRIPS Agreement and the Trademarks Act, 1999. Thus, even if a domain name is registered in good faith and innocently, the passing off action is maintainable against the registrant. (c) The registration of domain name with the Registrars recognised and approved by the ICANN may not have the same consequences as registration under the Trademarks Act, 1999. For instance, a registration under the Act carries with it a presumption of validity. (d) The Act considers even an innocent infringement or passing off as wrong against the right holder, unlike domain name where mala fides has to be proved. Thus, it does not matter whether the person offending the right does so fraudulently or otherwise. (e) The Act will have overriding effect over any other law, which is in conflict with it. Further, since it is in conformity with the TRIPS Agreement, it is equally in conformity with the well-accepted international standards. It must be noted that Rule 4 (k) provides that the proceedings under the UDNDR Policy would not prevent either the domain name owner/registrant or the complainant from submitting the dispute to a court of competent jurisdiction for independent resolution, either before proceeding under ICANN’s policy or after such proceeding is concluded. This shows that there is a simultaneous and double protection available under the Act. (f) The provisions of the Act are in conformity with the TRIPS Agreement and the W.T.O provisions. These provisions are mandatory in nature unlike the provisions of W.I.P.O, which are persuasive and discretionary in nature. The UDNDR Policy is formulated under the provisions of W.I.P.O; hence it is not binding on parties whose rights are flowing from the Act. The distinction is crucial since in case of conflict between the Policy and the Act, the latter will prevail and will govern the rights of the parties falling within its ambit. (g) The Act allows the making of an “International application” resulting in automatic protection in designated countries mentioned in it. This gives a wider and strong protection to the trademark and makes its misappropriation harsh and punitive. (h) The procedure for registration under the Act is more safe and reliable, as it is not granted on a first come first basis. The safeguards provided under the Act are properly followed and only thereafter a trademark is granted. Thus, the right recognised under the Act is more reliable, strong and authentic. The protection of domain name under the Indian legal system is standing on a higher footing as compared to a simple recognition of right under the UDNDR Policy. The ramification of the Trademarks Act, 1999 are much wider and capable of conferring the strongest protection to the domain names in the world. The need of the present time is to harmoniously apply the principles of the trademark law and the provisions concerning the domain names. It must be noted that the moment a decision is given by the Supreme Court and it attains finality, then it becomes binding on all the person or institutions in India. It cannot be challenged by showing any “statutory provision” to the contrary. This is so because no statutory provision can override a “Constitutional provision” and in case of a conflict, if any, the former must give way to the latter. This settled legal position becomes relevant when we consider the decision of the Supreme Court in Satyam case (supra) in the light of the above discussion. The various landmark judgments of the Supreme Court have conferred the “most strongest protection” to the domain names in the world. The only requirement to claim the same is that we must appreciate them in their true perspective and apply them in a purposive and updating manner. M/s Satyam Infoway Ltd v M/s Sifynet Solutions Pvt. Ltd, (2004) 6 SCC 145. Lakshmikant v Chetanbhat Shah, JT 2001 (10) SC 285. Lord Diplock in Erwen Warnink BV v J Townend & Sons, 1979(2) AER 927. Cadila Health Care Ltd v Cadila Pharmaceuticals Ltd, JT 2001 (4) SC 243. Cadila Healthcare Limited v Cadila Pharmaceuticals Limited, JT 2001 (4) SC 243. Sections 2(1) (m) and Section 2(1)(z) respectively. N. R. Dongre vs. Whirlpool Corporation, 1996 (16) PTC 583. This entry was posted in Uncategorized on May 7, 2011 by PTLB.